After being named the top ranked female white belt in 2015, Kyra was offered a travel package to secure a place fighting at the biggest BJJ competition of the year, set to take place later this week. 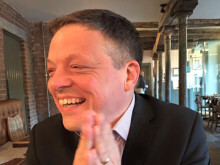 The sponsorship covers the financial cost of competing at the event in Lisbon, Portugal and support in preparing for the day including a nutritional pan from Ben Sulston and advice on mental prepartion from Sports Psychologist Rebecca Hill. Commenting on how she has prepared for the competition, Kyra said: “Up until two weeks ago I did a lot of training that included lots of strength training and double classes of jiu-jitsu. Since then I have still been doing jiu-jitsu constantly, but have also done yoga regularly to stay loose”. Kyra works during the two rest days she takes, but has adopted a relaxed feel to prepare mentally for the day. 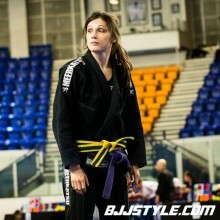 She explained: “I’ve been trying to get into the zone, doing jiu-jitsu once a day with lots of stretching, reading and just listening to myself and not putting my energy into other things”. As a qualified P.T, Kyra plans her own workout schedule, with her usual training regime covering a vast amount of weight lifting and cardio, with running and sprints in her daily training sessions. 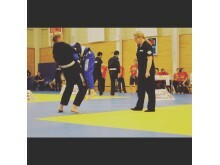 Having previously practised Judo and progressing to a brown belt, she decided to make the cross over to BJJ after attending a class two years ago following injury. 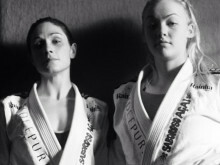 A knee injury then meant that she had to stop training BJJ having only just begun, and has now been properly back on the mats for seven months. Kyra, from Tooting, said: “After rupturing both my ACL’s in Judo, I did a Jiu-Jitsu class to help my judo and just fell in love with it. I lost the love for judo and found it in BJJ”. Training at Carlson Gracie London, Kyra fights in the under 74 kg medium heavy weight category, under head coaches Dickie Martin and Wilson Junior. Kyra, who is sponsored by Wootz clothing line, explained why she competes: “I feel like it’s the only thing that really challenges me, I love to train and then put everything I do in training into my fights to see if I’m progressing. Competing is the only thing that really, truly, makes me happy-win or lose, I really enjoy it”. 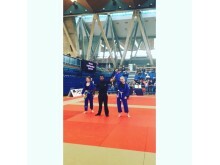 At The English Open inNovember, Kyra took double gold in her weight category and the female white belt absolute, having won six fights on the day. She said: “I felt like the final in the absolute with Marina, who I train with, was the hardest fight because we both knew what we were going to. That fight I threw her and stayed in side control, trying to stay on top, as I knew that if I moved she’d get out. I was most worried about that fight, because I know how well she fights”. Kyra’s idols include Mackenzie Dern and Ronda Rousey, who she believes is the best, commenting: “I’ve been watching Ronda eversince she was an amateur MMA fighter, I already knew about her from years ago in Judo and I really look up to her from seeing her progression. Her self belief is incredible, she never doubts herself and always tries to make sure she’s the best she can be, no matter who’s she’s against”. Staying humble, when asked of her biggest achievement in BJJ so far, Kyra said: “Nothing amazing has been done yet, but this year hopefully I should get some good results”. Speaking of her training, she added: “Progression keeps me on the mats, feeling myself get better and stronger and having good rolls in class with people I used to get smashed by". “I like feeling the energy of everyone else, getting closer with people, especially my teammates, and getting good opportunities such as the UKBJJA sponsorship”. Kyra will fly out to Portgual tomorrow (Tuesday) alongside her teammates and having seen that the brackets have been released for her category, is excited at the prospect of three fights on the day.